Come hear some great music while supporting VCCA! 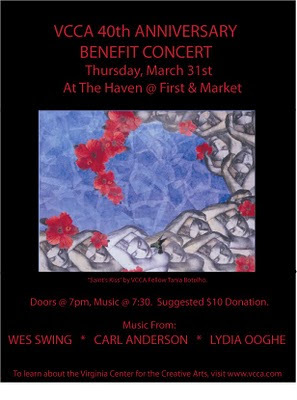 Wes Swing, Carl Anderson and Lydia Ooghe are playing a VCCA 40th Anniversary Benefit Concert at The Haven in Charlottesville. Doors open at 7 pm Thursday, March 31st and music begins at 7:30 pm. Suggested $10 donation. For more information, click on the poster! Poster artwork, Saint's Kiss, is by VCCA Fellow Tania Botelho. "Music From Mt. San Angelo" Concert is TONIGHT IN NYC! 17 Original Works by VCCA Fellows Including 8 World Premieres "Music From Mt. 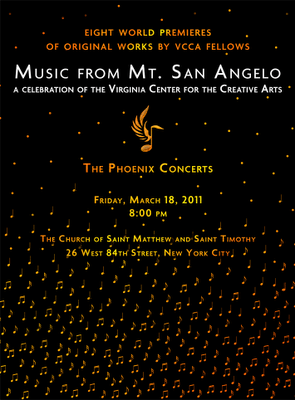 San Angelo" - the concert celebrating VCCA - is tonight at 8 pm at the Church of St. Matthew and St. Timothy. For more information on this and all The Phoenix Concerts, click here. 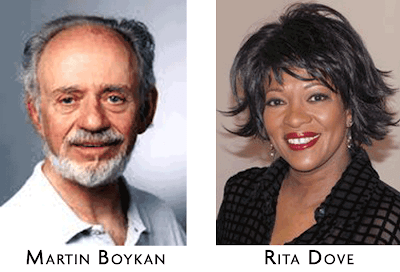 Composer Martin Boykan and poet Rita Dove have been elected to the American Academy of Arts and Letters. Martin is a VCCA Fellow and Rita is a VCCA Advisory Council member. Rita and Martin are two of ten new members being inducted into the 250-person organization this year. The induction ceremony will take place in New York on May 18, 2011. Congratulations to you both! 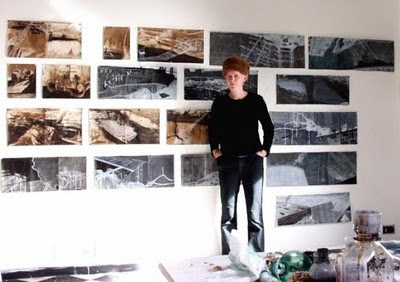 Ellen Driscoll, head of the sculpture department at Rhode Island School of Design and a VCCA Fellow, was named as one of three visual artists to receive the prestigious MacColl Johnson Fellowship from the Rhode Island Foundation. The $25,000 grant is one of the largest no-strings awards to artists in the country. It is intended 'to fund an artist's vision or voice', and has been awarded on a three-year cycle since 2005 to composers, writers and visual artists. Congratulations, Ellen! Music to our Ears! VCCA is in "The New Yorker"
The New Yorker magazine has included the Phoenix Concert Music From Mt. San Angelo in the classical music section of Goings On About Town. A celebration of VCCA, Music From Mt. San Angelo features 17 works by VCCA Fellows, including 8 world premieres. To read more about the concert in the The New Yorker, click here. To go to The Phoenix Concerts website, click here. In this workshop set in the lovely medieval village of Auvillar, participants will use their experiences and sensory observations to create short autobiographical essays and poems influenced by impressionist theory. Emphasis will be placed on experimenting with both style and structure to capture emotional and aesthetic accuracy and truth in writing. Jacqueline Kolosov, author of Modigliani's Muse, will lead writers through poetry workshops while Kirsten Lunstum, author of Swimming with Strangers, will lead creative nonfiction workshops. All participants will work in both genres. How I See It: Autobiography in Impressionist Poetry & Prose takes place July 10 - 17. To learn more, including information about the partial work-study scholarship, click here. To learn more about all four of the 2011 Auvillar Arts Workshops at VCCA's Le Moulin à Nef studio center, click here. VCCA's 40th Anniversary is proving to be a year of affirmation and renewal. After fifteen years of building and nurturing a creative space for hundreds of Fellows, VCCA Executive Director Suny Monk is making plans to return to her own creative hearth. In her words, "Watching you has been inspiration and siren song. I want to make art too." "My life has been unbelievably enriched by association with you, but it's the right moment to turn over the vision for our beloved VCCA to another. And after fifteen years, it's time for me to return to my own studio work." As VCCA celebrates 40 years, we will also celebrate the dedication and inspiration of Suny Monk, whose passionate support of our Fellows and their work was so important to achieving this milestone year. 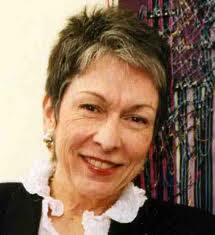 To read Suny's letter to Fellows in full, click here. Auvillar, France is a centuries-old stopping place on one of the four major routes for pilgrims on the Chemin de St. Jacques to Santiago de Compostela in Spain. 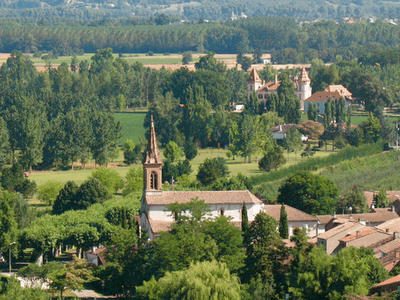 It is home to beautiful, sacred spaces - such as the Church of St. Peter and the nearby ruins of the Chapel of St. Catherine on the bank of the Garonne River - as well as VCCA's beautiful studio center, Le Moulin à Nef. Led by VCCA Fellow Lisa Schamess, author of Borrowed Light, the Writing and Pilgrimage workshop is built on the contemplative practice of walking. Participants will write together and separately discovering and sharing memories, values and spiritual touchstones. Writers of all levels of experience and physical ability are welcome. Writing and Pilgrimage takes place July 10 -17. To learn more, including information about the partial work-study scholarship, click here. 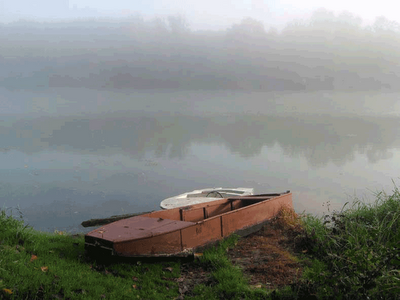 To learn about all the 2011 Auvillar Arts Workshops at Le Moulin à Nef, click here. Joseph H. Seipel, a member of VCCA's board of directors, has been named dean of the Virginia Commonwealth University School of Art. 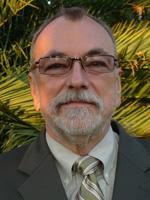 Currently vice president for academic services at the Savannah College of Art and Design in Savannah, Ga., Seipel was a distinguished member of the VCU School of Arts faculty for more than 30 years. "The strength of any art school is its faculty, and Mr. Seipel has demonstrated his remarkable ability to engage the faculty and to open doors to their individual and collective success," said Beverly J. Warren, VCU's interim provost and vice president for academic affairs. LAST DAY! 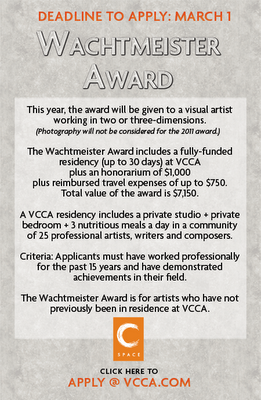 - to apply for the Wachtmeister Award!